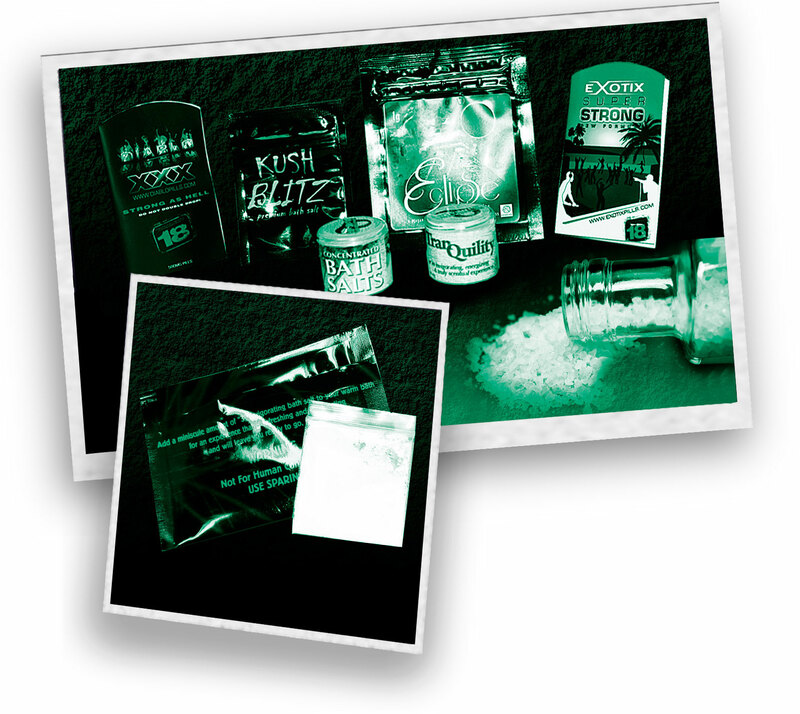 HOME » THE TRUTH ABOUT SYNTHETIC DRUGS » What are Bath Salts? Many of the substances in these drugs were banned in the U.S. because of their harmful effects, and dealers use Bath Salts and other names to get around the law. They are also falsely advertised as “plant food,” “jewellery cleaner,” “phone screen cleaner,” and labelled “not for human consumption” to escape arrest by law enforcement. Users have reported snorting or injecting it, or mixing it with food or drink. This can include “bombing” it (swallowing it wrapped in cigarette paper), taking it rectally, inhaling it using a vaporiser or smoking it.